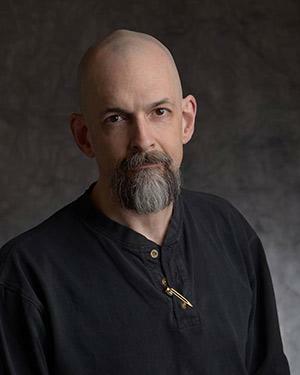 Neal Stephenson innovation starvation: We have great ideas for the future. The CEO of the future. 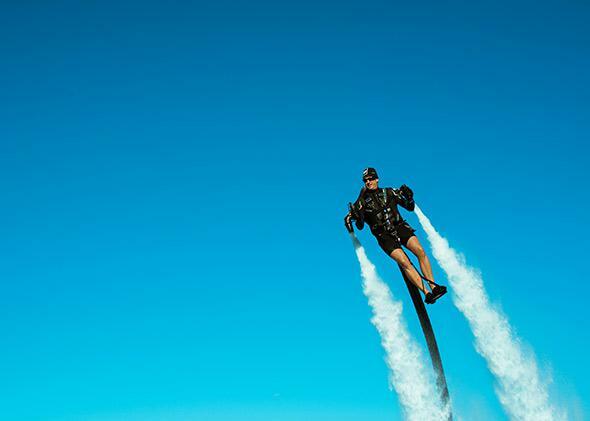 For a big part of my life, I assumed that the scarce resource—the thing that was preventing me from getting to Mars, or having my own personal jetpack—was clever ideas. Since I see myself as an idea person, that was a pleasant thing to believe. It’s flattering to think that you are one of the special few who hold the keys to the future. In the last decade and a half, though, I’ve spent a lot of time working in idea factories of various types, and I’ve come to see how wrong I was. I had fallen for a 19th-century vision of how it all works: the lone inventor sitting in the lobby of the patent office with his better mousetrap on his lap, waiting for the world to beat a path to his door. My thinking along those lines led to a 2011 piece titled “Innovation Starvation.” This led in turn to a partnership with Arizona State University to create Project Hieroglyph, which asked science fiction writers to help imagine new futures. So far, so good. But ideas alone are not enough. There is a glut of patents. In the field of space launch technology alone—that is, trying to invent a more efficient alternative to rockets—brilliant and dedicated enthusiasts have been coming up with new ideas for at least a hundred years. Of those, only a tiny minority have ever been seriously explored, and none has been put into service. The inventor, patent portfolio in hand, must raise money. This is an exhausting and dispiriting process that requires a completely different skill set from inventing. It’s easy to spend years of one’s life on it. After a few years have gone by, you can get the idea that the scarce resource—the thing that’s preventing you from getting to Mars—is money. If only more capital were available, great new ideas could get financed and change the world. The problem with that theory is that it simply doesn’t hold up when you zoom out and look at the bigger economic picture. The industrialized world is awash in capital that isn’t being put to work—see “The Capitalist’s Dilemma,” a recent Harvard Business Review article by Clayton M. Christensen and Derek van Bever. Christensen and van Bever have their own theory of why, in their words, “managers are sitting on their hands, afraid to pursue what they see as risky innovations.” And I’m sure it’s a more well-informed theory than anything I could come up with. All I have to offer is anecdotes, gathered in recent years from my own experiences and those of friends. What I’ve been hearing, pretty consistently, is that capitalists—and I’m using that term literally, in the sense of people who have the power to deploy capital—are reluctant to invest in clever ideas unless there is a person behind that idea who is going to make it their sole mission in life over a period of several years. So, commitment and passion. We knew that. But those qualities alone are not sufficient to open the money tap. Almost anyone who has bothered to come up with a good new idea and patent it, or otherwise secure the intellectual property, has those attributes. Also needed are the skill set and the personal qualities essential for running an organization—even a small one—over a time span of years. Recruiting, hiring, and firing are infamously difficult to get right. Leading a team requires social skills that not everyone has. Managing money—the simple ability to read a spreadsheet—is a skill that can be learned. But not everyone has learned it, or has the temperament to spend hours focusing on columns of numbers. In Venn diagram terms, the pool of people with brilliant, world-changing ideas has a very small overlap with the pool of those who are capable of being the CEOs of funded projects. “Now that,” as a tech CEO recently told me, “is a scarce resource.” It is scarce partly because there aren’t many to begin with who have the requisite CEO-like qualities, and it’s made scarcer by competition. I know several such people who would love to jump from their current jobs into exciting startups—but there’s no reason for them to do so, because they’re already making salaries in the mid-six digits, and all they have to do is look mildly restless and their employers will give them a raise to prevent them from jumping ship. If senior executive talent is all golden-handcuffed, maybe we need to look to a younger cohort. Silicon Valley has become a magnet for young people who dream of being tech CEOs. The prevailing Valley ethos of “fail quickly” has been criticized, e.g., by Peter Thiel, for leading to a kind of attention deficit disorder among such entrepreneurs. If you’re involved in a startup and you know it has a high likelihood of failing within its first few months, then you’d be crazy if you didn’t also have a backup startup, and a backup to the backup. And if your definition of success—driven by venture capital expectations—is a 10x-or-better return on investment, then any project that involves toiling away on hardware and developing new technology is going to look pretty unappealing. How can we grow a crop of technically savvy people who have the portfolio of rare skills needed to run a company? And having done so, how can we give them an incentive to devote five years of their lives—probably the best five years—to working on a new technology that might fail? I don’t have the answer, but it might be an interesting question.